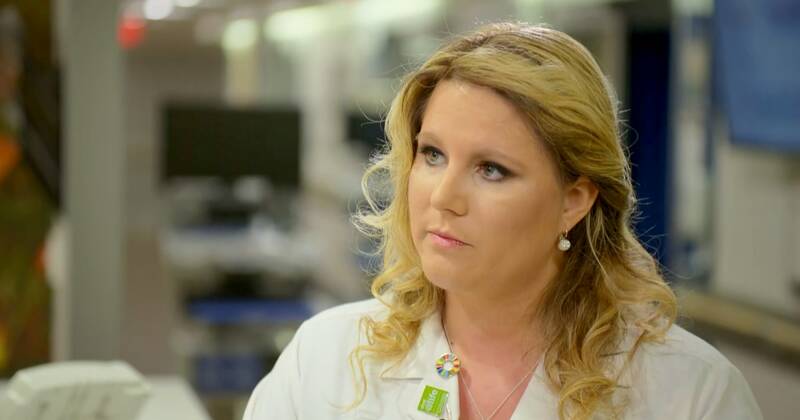 Melody Anne Butler, a registered nurse and infection preventionist at Good Samaritan Hospital on Long Island, New York, had mixed feelings about vaccines until she was pregnant with her third son during the deadly H1N1 flu pandemic in 2009. The mother of four was concerned for her baby’s safety, but also overwhelmed by scary reports circulating online about vaccine safety. After talking with her clinical nurse educator about pseudoscience and vaccine misinformation on the internet, Butler decided to get her children vaccinated. She was shocked that nurses were involved in spreading vaccine myths online. That led to Butler founding Nurses Who Vaccinate, a nonprofit that provides nurses and health care professionals with current, evidence-based information on the benefits of immunizations and current recommendations. But her early encounters with nurses who were opposed to vaccines were frustrating. Amid the ongoing measles outbreaks in the U.S., Butler discussed vaccine misinformation and common myths with Holt. Watch this story tonight on “NBC Nightly News With Lester Holt” at 6:30 p.m. ET / 5:30 p.m. CT (or check your local NBC listing). Holt: Do you change minds? Butler: Yes, but it’s not an overnight thing. I establish a relationship with these people. They know they can come to me with their questions and concerns because I was one of them. I understand you can be taken for a ride. I understand how susceptible people can be, even those who are college educated. Holt: Are there more of them [people resistant to vaccines] than there are of you online, in social media? Are you outnumbered? Butler: Vaccinating is the norm. However, just like when we go to the bathroom and wash our hands, we don’t come out and tell everyone every single time. Most people do vaccinate, so it’s really important that more people start telling everyone. Holt: But in terms of social media, are there more folks spreading false messages on social media than there are the facts? Butler: There are not more people, but sometimes they are the loudest and they tend to go viral because a lot of their stories can be quite sad at times, or their points come across as very scary. It’s a lot easier to scare someone than it is to unscare them. Holt: What are the top inaccuracies or myths about vaccines? Butler: The most frequent questions I get are, can I give my child all these vaccines at the same time? Should I wait to give these vaccines? And do vaccines cause autism? Holt: And do they cause autism? Butler: Absolutely not. We have amazing evidence and studies are constantly coming out. There was amazing meta-analysis coming out from Denmark that once again showed evidence-based research showing that children who receive the MMR vaccine do not have an increased risk of autism. Holt: What are the other myths out there? And what I usually tell them, is that there’s more aluminum present in breast milk than there is in the vaccine your child’s going to get. Aluminum is a very abundant resource on earth. We cook with aluminum. Your child’s going to come into contact with it on a greater level outside vaccines. Holt: You mentioned that you started this based on other nurses who were putting out false information. When I go on social media and look at the anti-vaxxer community, a lot of it is based on medical professionals, doctors, and nurses who are promoting some of these ideas. Does that concern you? Butler: It does concern me when people are using the medical profession as a way to promote misinformation. But, once again, if you look at the CDC, New York State Department of Health — valuable, accurate resources — these claims are very easily debunked. It just takes a lot of time and it takes a one-on-one conversation to go through some of these concerns and myths. Holt: No matter where you stand in this, people love their children and they want the best for their children. So, how do you approach that conversation? Butler: It’s a framework conversation, called a case method. It’s very simple. It really helps me to kind of focus my message and also acknowledge the patient’s fear. Holt: How do you take emotion out of this conversation? Butler: You don’t. Because I’m passionate about this — I’m doing this because of emotion. Felix Gussone is an Associate Producer for NBC News, where he works for the Health & Medical Unit. The clocks ‘fall back’ and daylight saving time ends on Sunday. Here’s how to survive the darker days. November 6, 2018 Comments Off on The clocks ‘fall back’ and daylight saving time ends on Sunday. Here’s how to survive the darker days.